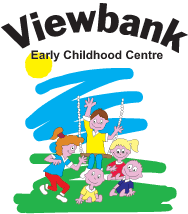 For Viewbank Early Childhood Centre to maintain the High Quality education and care offered to our families, clean and well equipped facilities, retention and training of its staffing team and to meet its many financial commitments, we need a commitment from our families to meet their financial obligations to the Centre. Payment of a non-refundable booking fee. Agreement to pay your weekly fee via the Centre's automated payment facility, PAYWAY. Maintaining fee commitments one week in advance at all times. Payment of fees and charges incurred by the Centre for the collection of monies and debts. An email address for confirmation of payments. Meet all conditions of our FEE POLICY as outlines below. To maintain our financial integrity, VBECC requires all families to pay their weekly fees via our automated payment facility - PAYWAY. Every Thursday at 11am we automatically deduct your weekly fee from your nominated credit card/debit card/bank account. These details are kept locked away for your security. At the conclusion of PAYWAY every Thursday, an email is sent to all families advising them that a debit has taken place. Due to the nature of the Governments IT system that manages the child care usage account, we cannot provide the amount with this email, as in many cases it varies each week. We are more than happy to provide these details over the phone at any time. As per our agreement with the Government, we provide families with a copy of their invoice/statement at the end of every calendar quarter via email. Should families need alternative arrangements, please consult the Admin Manager. It is the responsibility of the card holder to ensure that sufficient funds are available for payment every Thursday. If funds are insufficient parents MUST contact the Office Manager by 4pm on Wednesday to make alternative arrangements. Failure to do see will result in a $3 dishonour fee should the account be transacted. A fee of $30 for every fifteen minutes or part thereof will be charged for children left at the Centre after 6:30 p.m. to cover staff overtime costs. The person collecting the child will be asked to sign a late collection notice, and a stand alone invoice will then be sent to the parents for payment. For permanent bookings the full fee will be charged for ALL days your child is booked into the Centre regardless of public holidays, family holidays, illnesses or school term breaks as per government guidelines. Before leaving on holidays ALL fees for the period of the holiday MUST be paid in full. This is a holding fee for your permanent booking. Failure to pay will see your booking cancelled. The Centre closes over the Christmas/New Year holiday period. During this time of centre closure, no fees are payable. Under the Child Care Subsidy Scheme, each child is eligible to receive CCS for an initial 42 days of absences per financial year, which can be used for any reason without proof of circumstances. (includes public holidays) Once the initial 42 absence days have been used, additional absences may be claimed in certain circumstances. All 42 absences must be exhausted before additional absences can be claimed. Our PAYWAY system can be used to add additional charges such as book orders, haircuts, cakes etc. This will incur a $1 charge per transaction. Two weeks notice must be given in writing before ceasing care or payment in lieu of care will be charged. Families who HAVE NOT contacted the Centre within a two week period, and whose fees are in arrears, will automatically have their booking cancelled. The child has exhausted their initial 42 days of absence but supporting documentation such as a medical certificate cannot be provided for their absence. In the event that the Family Assistance Office does not pay Child Care Benefit for the last sessions, the parents are liable for the full fee charged by the centre for those sessions. Where families request extra days of care and their accounts are consistently in arrears, an upfront payment of the outstanding account and the extra usage is required before bookings are undertaken. All extra days need to be confirmed in an email to admin. Accounts that fall two weeks in arrears will be issued with a letter and will be charged a weekly account keeping fee of $5 until the account returns to our fee payment terms. Failure to pay your fees will result in cancellation of your childcare place. Please discuss with the Office Manager if you are having any difficulties with payment of your fees. Where families do not take up full usage of an advanced booking e.g. a full-time booking made in February to commence in July but later adjusted to two days per week, a penalty fee equivalent to the weekly fee for the original booking will apply. In some instances the booking may be cancelled. Families may be entitled to a fee reducation through the Commonwealth Childcare Benefit Scheme (Child Care Subsidy) To apply you will need a 'My Gov' account where you can lodge your application. If successful you will receive an online assessment notice with your entitlement. You will need to bring a copy of your assessment into the centre so we can match your family and child's reference numbers through the Child Care Management System to receive your Child Care subsidy. To continue your eligibilty for CCS you must immedicately notify Centrelink every time there is a change in your financial circumstances. It is each family's responsibility to ensure their assessment is current. CCS is administered through the Government's Child Care Management System, so please ensure your family's details are up to date and the centre knows your Centrelink Reference details. If we do not have your Centrelink reference number, full fees will be charged until they are provided. A CWA is an ongoing agreement between the service and a parent/guardian that contains a minimum amount of information as defined by the Government. The CWA is the only arrangement that will allow families to receive Child Care Subsidy and must state whether care will be routine or casual and the details about the days on which SESSIONS of care will be provided with start and end times. Families must have their children immunised in accordance with the NHMRC Recommended Immunisation Schedule. Centrelink will need to be provided with this information when families apply for Childcare Subsidy. All families attending Viewbank Early Childhood Centre must have up to date immunistion for their child.